Aug. 29, 2018 -- Insect-borne illnesses are on the march, as the bugs that carry them are spreading out and getting harder to kill. In response, scientists are looking for new, high-tech tools to prevent them from spreading those diseases. In California, researchers are trying to change the genes of mosquitoes to prevent them from carrying the parasites that cause malaria. And in Brazil and Southeast Asia, scientists are working to infect mosquitoes with bacteria that keep them from spreading dengue fever, a sometimes deadly virus that’s reaching beyond its typical tropical range. The new technologies are needed because traditional ways of controlling mosquitoes aren’t reducing the spread of disease, says Cameron Simmons, PhD, director of the Institute of Vector-Borne Disease at Australia’s Monash University. In other words, the bugs are winning. Simmons is also director of impact assessment at the nonprofit World Mosquito Program. The organization has found the bacteria Wolbachiapipientis essentially crowds out the dengue virus in the Aedesaegypti mosquito species that carries the disease. Not only that, but when wolbachia-infected males mate with female mosquitoes, their eggs don’t develop. And when males and females both carry wolbachia, the bacteria is passed on through their eggs. Within 3 to 4 months, wolbachia-carrying mosquitoes start to crowd out the dengue-carrying bugs, Simmons says. The program has done tests in Australia, Vietnam, and Indonesia, including a randomized, controlled trial in the Indonesian city of Yogyakarta. In the neighborhoods where wolbachia was introduced, more than 90% of mosquitoes now carry the bacteria, and fewer cases of dengue are being reported. Simmons was one of about 1,500 researchers presenting findings this week at the CDC’s International Conference on Emerging Infectious Diseases in Atlanta. Dengue fever strikes more than 50 million people a year, killing about 10,000. By comparison, malaria killed about 445,000 in 2016, according to the World Health Organization. Efforts to control the anopheles mosquito species that carries that parasitic illness through pesticides and chemical-treated mosquito nets have made “pretty good progress” in recent years, says Greg Lanzaro, PhD, an entomologist at the University of California Davis. But there have also been increases in malaria cases in some countries, particularly in Africa, as mosquitoes become more resistant. So Lanzaro is now part of an anti-malaria initiative based at the University of California Irvine, which is trying to splice genes into anopheles mosquitoes’ genes to head off the disease. 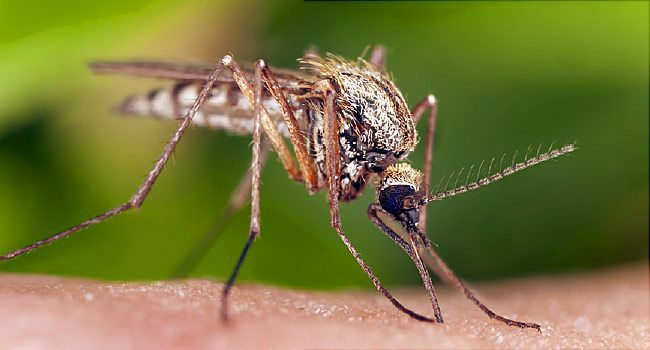 The genes prevent the mosquito from transmitting the disease to humans. “Our strategy is to engineer the mosquitoes in such a way that they’re incapable of becoming infected with malaria parasites, and then introducing these mosquitoes into the natural population,” Lanzaro says. The goal is that the modified mosquitoes carrying that gene would spread it to their offspring and replace the natural, parasite-prone insects. The idea has been around since the 1990s, but the recent development of the CRISPR-CAS9 gene editing technique has brought it closer to reality, Lanzaro says. Mosquitoes that shut down the parasite have been produced in the laboratory, but it’s likely to be 3 years before any specimens are ready to be released -- and then, only under tightly regulated conditions, he says. The program is considering an initial test on a small island off Africa where the disease is common, then moving to larger islands and eventually to the mainland. But any test would have to be developed in consultation with officials from the host country, the World Health Organization, and other U.N. agencies. Dengue fever and malaria are carried by different mosquitoes. Aedes aegypti can also spread Zika, West Nile, and chikungunya -- and its range is spreading as a warming climate makes it easier for the bugs to survive in places that it couldn’t before, says Mariola Mascarenhas, an epidemiologist for Public Health Agency of Canada. “Our climate is getting warmer, and faster,” she says. Warmer weather will prolong the time those viruses can infect humans and could extend the range of the Aedes aegypti mosquito -- along with the related Aedes albopictus mosquito, which carries many of the same viruses -- across much of the central and eastern United States. Albopictus specimens have been caught in traps for the last 3 years in southwestern Ontario, Mascarenhas says -- but more study needs to be done to estimate how far they’ll take hold. Mosquitoes are also getting more resistant to the pesticides that have been used to kill them over the decades. Melinda Hadi, PhD, an entomologist with the Swiss mosquito net manufacturer Vestergaard, told the conference that insecticide resistance in anopheles mosquitoes is up in several countries that have the biggest problems with malaria already. “It’s not going to cause the tool to not work at all, but it’s going to result in the tool not working to the intended level of efficacy,” says Hadi, who’s based in Nigeria. Lanzaro says the genes his lab is trying to implant in mosquitoes aren’t likely to be carried from one species to another or affect any other trait, and tests of how the modified bugs interact with other species are likely to be done in cages before any insects are released into the wild. Cameron Simmons, PhD, World Mosquito Program/Monash University. Greg Lanzaro, PhD, University of California Davis. Mariola Mascarenhas, Public Health Agency of Canada.